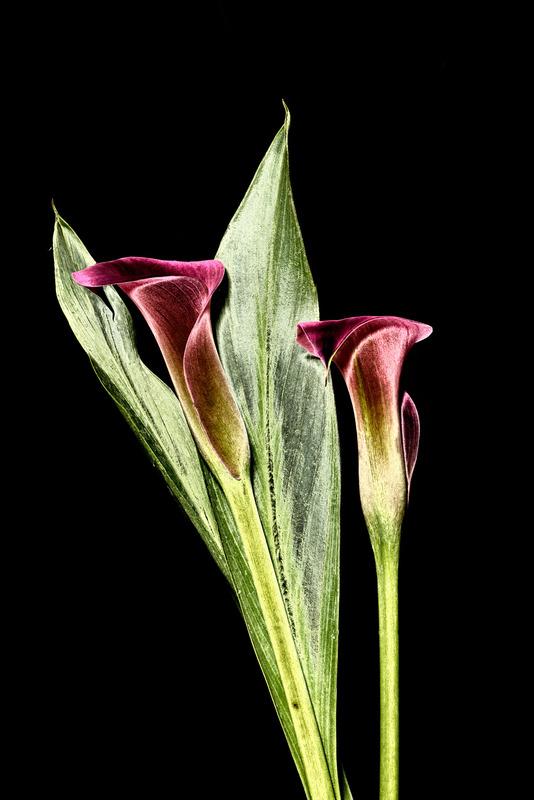 Fine Art Pink Calla Lilies solarized. Focus stacking 309 images combined. Flowers from my garden.